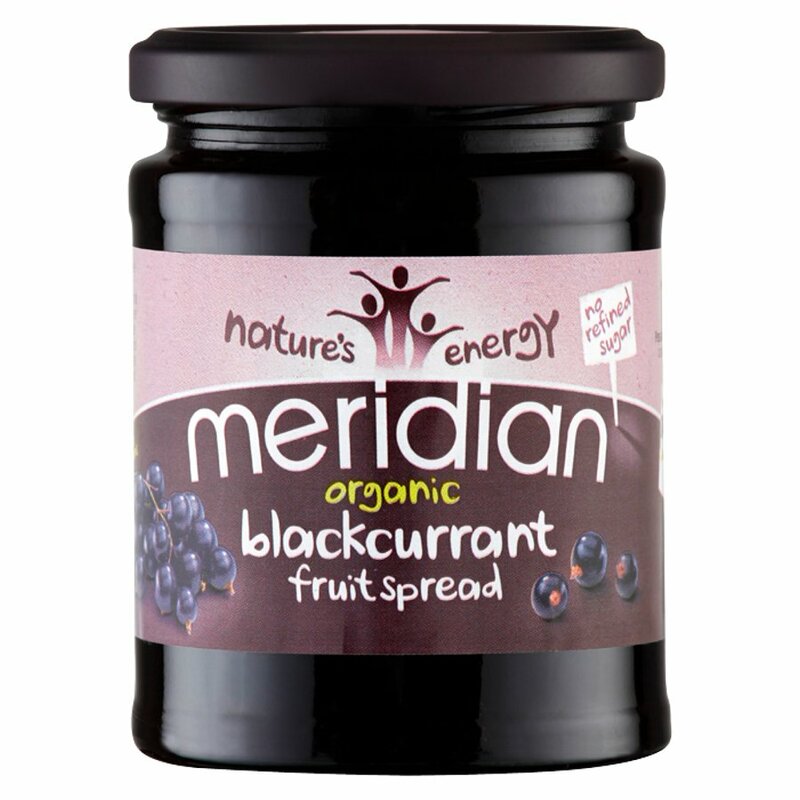 Organic Blackcurrants are harvested and graded before being gently cooked in organic apple juice concentrate, to produce this flavoursome lightly set spread from Meridian. Vegetarian and vegan friendly. 284g. Organic Apple Juice Concentrate (59%), Organic Blackcurrants (40%), Gelling Agent (Pectin*), Acidity Regulator (Citric Acid*). The Meridian Organic Blackcurrant Spread - 284g product ethics are indicated below. To learn more about these product ethics and to see related products, follow the links below. A perennial favourite with the family. A jam without the excessive sugar of 'normal' jams. Just the taste of fruit. 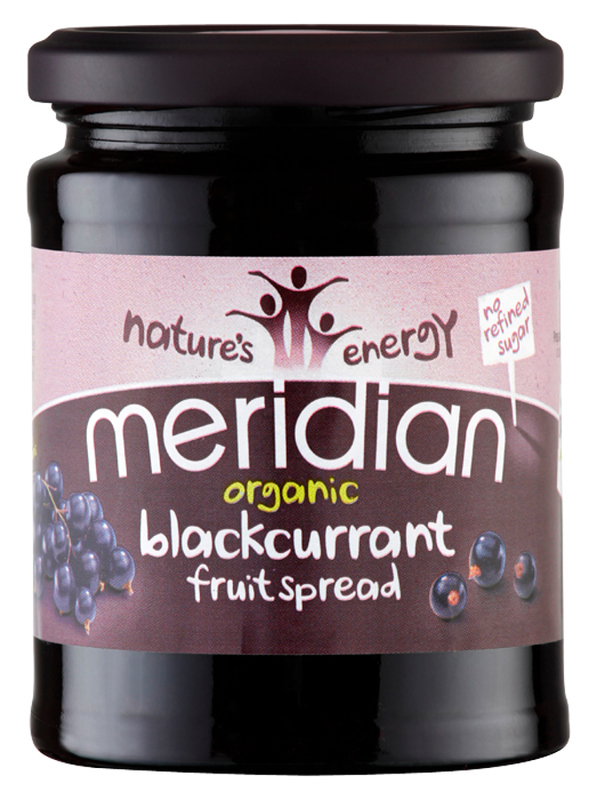 There are currently no questions to display about Meridian Organic Blackcurrant Spread - 284g. Meridian Foods have been producing wholesome tasty foods from their factory in the rolling Welsh countryside for nearly 30 years. They are a company which scours the globe for the finest ingredients to go into their delicious organic products for you; the health conscious consumer. All Meridian foods are made without additives or preservatives and with the minimal of processing possible. The whole range is certified organic by the Soil Association and is suitable for vegetarians.